Babe Ruth selling chewing tobacco. Ruth, a lifelong chewer, died of throat cancer in his 50s. 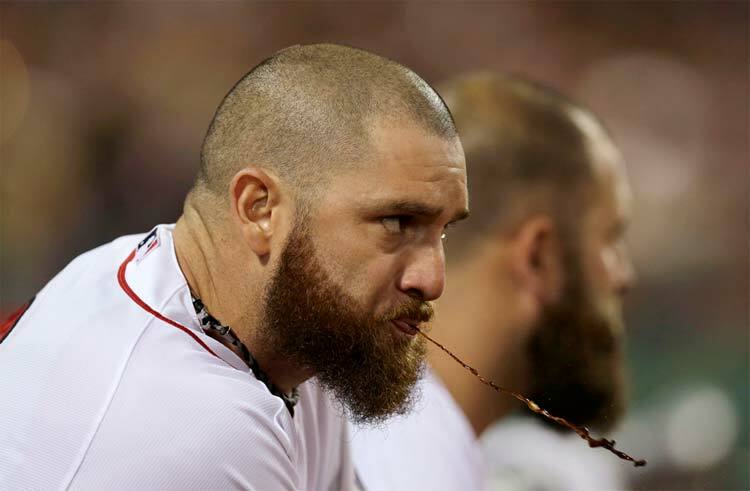 As expected, Major League Baseball and the Player’s Association agreed to a ban on chewing tobacco in baseball, though it’s a bit of a wishy-washy ban because it only applies to incoming players. Basically, they’re going to phase it in. This means expect to see chew around on the baseball field for the next 10 years, though you will gradually see less and less of it. It’s a step in the right direction, I suppose, and perhaps the best that could be accomplished going up against a very powerful players’ union. Some tobacco control advocates likely won’t be that thrilled with it, but I would tell them, this is arguably the most powerful union in the country. Getting anything out of them is a win. Someone pointed out to me it’s very similar to how batting helmets were introduced into baseball. Existing players who didn’t like them didn’t have to wear them, but new players did (actually, hockey was the same way. You still saw a few old-timers not wearing helmets into the early 90s. The NHL finally made visors mandatory in 2013, but again, existing players who don’t want to wear them are grandfathered in, so you will slowly see visorless players disappear from the game.). For Libertarians screaming “Freedom of choice!” think of it as a workplace ban. Name a workplace, any workplace, in which chewing tobacco is allowed in the building. Maybe warehouse workers, truck drivers and longshoreman can chew on the job. That’s about it. 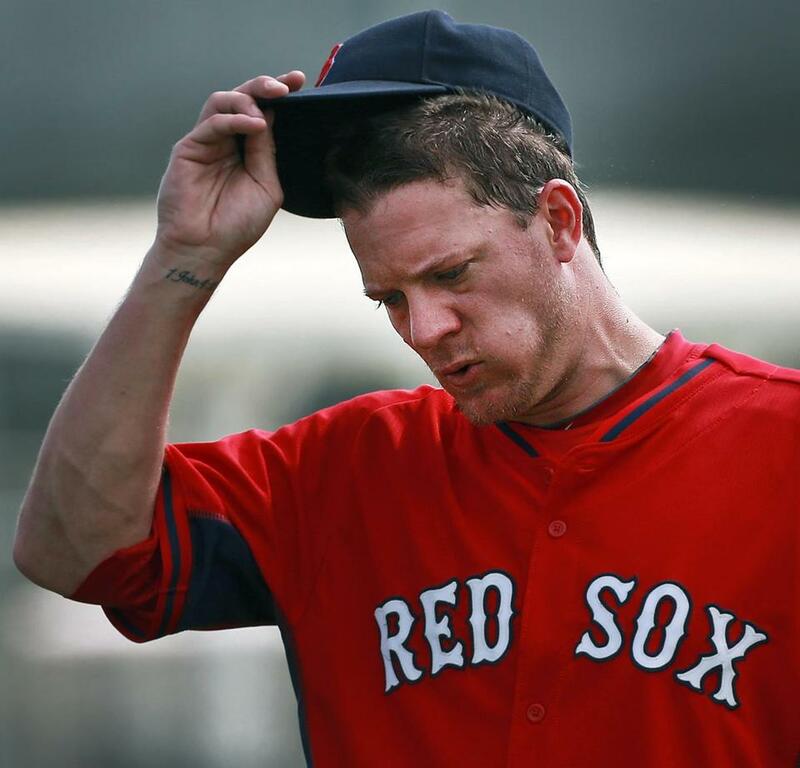 No one is telling ballplayers they can’t chew if they really want to deal with the gum disease and losing their teeth. They just can’t chew on the job, in the ballpark. Chewing tobacco has been banned for years in the minor leagues and by the NCAA. In fact, according to this article, it’s not unheard of for players to be thrown out of NCAA games for chewing. For some reason that no one can really explain, chewing tobacco is deeply entrenched in the culture of baseball. According to this story, 47 percent of NCAA baseball players chew. 47 percent! Keep in mind less than 10 percent of adult males chew tobacco. It really is a baseball thing. And dying of throat cancer is also a baseball thing — going all the way back to dipper Babe Ruth, who died of throat cancer. The latest push to ban chew came after Hall of Famer Tony Gwynn, a lifelong chewer, died in 2014 of salivary gland cancer. Gwynn advocated against chewing tobacco the last few months of his life, as has Curt Schilling (Yeah, I know he’s a butthead), who survived a pretty serious bout of oral cancer around the same time. In addition to the MLB ban that will begin next year, several cities have banned chew in ballparks — Boston, New York, Chicago, L.A. and San Francisco (Oakland and San Diego are included in a statewide ban, too, but this ban doesn’t really have an enforcement tool attached). Toronto is the latest city considering a chewing tobacco ban at all baseball parks, including the Rogers Centre. New York is considering a similar ban at Yankee Stadium and the Mets’ Citi Field. Meanwhile, San Francisco, Los Angeles and Boston have already banned chew by players, coaches, umpires and fans (though I have to believe most of these ballparks weren’t allowing fans to chew because of the clean-up issues.) It appears chew will also be banned soon by the state of California at ballparks in San Diego, Oakland and Anaheim. In response to chew being banned at as many as six Major League ballparks this summer, Major League Baseball is actually sending out “nicotine therapy” packages to teams for free. These packages will contain nicotine gun, patches and lozenges. This is included in the bottom of this story here. I thought it was pretty funny and could’ve been the lead of its own story. These proposals are getting some resistance from ballplayers. Roughly about 30 percent of baseball players are believed to be tobacco chewers (versus about 7 percent of adult men in general and less than 1 percent of adult women.). Is this Jonny Gomes? I’m not sure. That’s Mike Napoli behind him. Josh Thole, Justin Smoak and Chris Colabello are counted among Toronto Blue Jays who regularly chew tobacco on the field. Unofficial stats show that the number of players who still chew tobacco has decreased in recent years, from about one-half of players to one-third. Instead, ballparks have gotten into the habit of making chewing gum and sunflower seeds available as alternatives. Blue Jays Manager John Gibbons quit two years ago, following the death of Hall of Famer Tony Gwynn of salivary gland cancer. As Gibbons mentioned Tony Gwynn, it was Gwynn’s death a couple of years ago that provided much of the recent impetus to banning chew on the field. Gwynn was a longtime chewer who blamed his habit for his cancer. Washington Nationals manager Dusty Baker was a big dipper for a long time. He’s cut back over the years, but still might pop in a pinch when games get tight. “It’s a bad influence for the kids. Big time. I’ll say that. But also they’re adults, too, at the same time,” Baker said. Local laws will prohibit the use of all tobacco products at Fenway Park, Dodger Stadium and AT&T Park this year, meaning players, team personnel, umpires and fans. The letter advises the same ban will take effect at every California ballpark in December. “Like it or not, players are role models, and we have a platform as coaches and players. So if that’s the law, then we definitely support it,” he said. Major League Baseball actually wants to ban chew on the field, but needs the cooperation of the Major League Players’ Association, which has so far not given its OK. Chewing tobacco use is expected to be part of the next contract being negotiated between MLB and the players. Professor Farnsworth says, Big news, everyone! The city of Los Angeles, the second biggest city in the country, just banned chewing tobacco at all athletic venues. This includes Dodger Stadium. And this includes ballplayers … on the field. L.A. is the third major city to ban chewing tobacco at ballparks — the first two being San Francisco and Boston. I’m pretty sure chewing tobacco has long since been banned in the stands, but it’ll be interesting to see if they actually enforce these laws against players and coaches (and managers, etc.). In essence, I think these are basically symbolic gestures, because I honestly can’t imagine cops running out on the field to write tickets to players with an obvious chaw in their cheek. Symbolic because MLB has actually made it pretty clear it wants to ban chew on the field and in the dugouts, but the Players’ Association is fighting it. Before you scream, “FREEEEDOM!”, keep in mind that chew has long been banned by the NCAA and in the Minor Leagues. The only reason it’s allowed at the Major League level is because the Players’ Association hasn’t agreed to a ban. I expect it to be seriously negotiated during the next collective bargaining agreement, though I can’t predict how that will turn out. Curt Schilling and Tony Gwynn. Banning chew at the MLB is a real issue, I believe. Studies have shown that baseball players at every level — high school, college, Minor League, freaking American Legion even — use chew at a higher level than non-ballplayers. Chew is weirdly deeply ingrained in the culture of baseball. No one understands why or how, but all they know is … there it is. 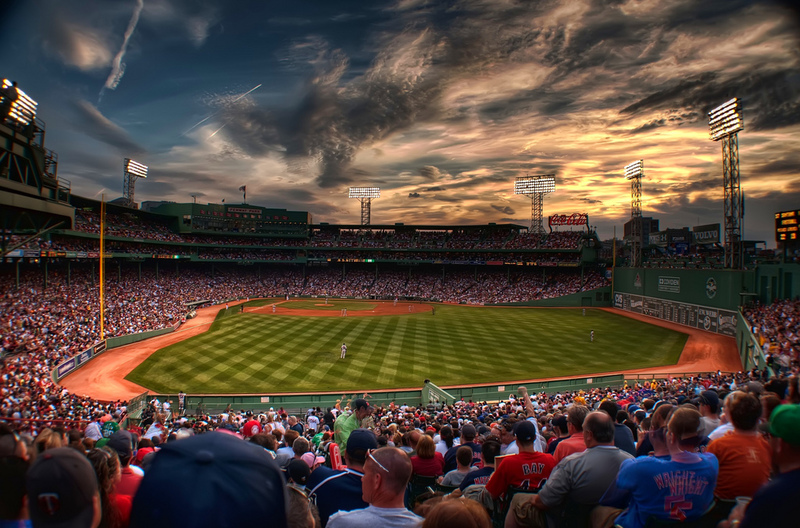 Boston has joined San Francisco in banning chewing tobacco in all ballparks, including Major League Ballparks like Fenway. The move is, I believe, part of a push to force the Major League Baseball Players’ Association to accept a league-wide ban on chewing tobacco. Chewing tobacco is already banned by the NCAA and in Minor League Baseball. MLB can’t ban chewing tobacco on the field or in the dugouts without the cooperation of the MLB Players’ Association. The issue of chew is set to be negotiated between the Players’ Association and MLB during the next contract discussions this off-season. This legislation, which will take effect in April 2016, won’t really affect fans, because tobacco use is already banned within the stadium, according to the Boston Globe. It is a somewhat symbolic measure directed at the players and coaches on the field and in the dugouts. In addition to San Francisco and Boston, the city of L.A. is considering a similar ban, which would affect players and coaches chewing at Dodger Stadium. There is also a bill in the California State Assembly to ban it all ballparks in the entire state. “These great baseball cities have set a powerful example that should be quickly followed by all of Major League Baseball,” said a statement from Matthew L. Myers, president of the Campaign for Tobacco-Free Kids. Chewing tobacco is deeply entrenched in the culture of baseball. One recent survey showed that about 30 percent of baseball players chew tobacco, while only about 7 percent of men overall chew. Red Sox owner John Henry supports the ban. It will be interesting to see if David Ortiz will drop the chew once the ban takes effect next year. Ortiz is beloved in Boston for not putting up with authority and he is a known chewer.